Contrary to popular belief, there are times when two rights can make a wrong. Both trusts and IRAs are important components of any estate plan, and there are compelling reasons to use each one. Trusts allow your estate to avoid probate and help you provide for your heirs in a way that you control. IRAs offer tax-advantaged savings and investment growth for your beneficiaries. However, special care must be taken when these two strategies intersect. In the process of creating estate plans for clients, we are sometimes asked whether it’s a good idea to name a trust as an IRA beneficiary. Because of the unique rules that govern IRAs, naming a trust as a beneficiary can trigger significant tax consequences, especially for younger heirs. There are some instances where this is a useful strategy, but there are also pitfalls that can be avoided with careful planning and consideration. When designating beneficiaries for an IRA, the goal of most investors is to preserve assets and provide an income stream for their surviving spouse and/or children. The ability to “stretch” an IRA, allowing tax-deferred growth over multiple generations, is one of its most valuable features. Naming a trust as an IRA beneficiary may hinder this ability if care isn’t taken to ensure that the trust meets certain IRS guidelines. For IRA “stretch” purposes, the IRS only considers individuals as designated beneficiaries. Therefore, if the trust in question names an estate, charity, or something other than an individual as a beneficiary, the IRS will not recognize the beneficiary as a living person and will require the entire balance of the IRA to be distributed. In this context, if the IRA owner dies before reaching the age of 70½, the distribution must take place within five years of his/her date of death. If the IRA owner dies after reaching the age of 70½, the distribution takes place over his/her remaining life expectancy. Imagine a scenario in which Jim* wants to create a trust naming his two children and his church as beneficiaries. To simplify his estate, he wants to name this newly-created trust as the IRA beneficiary. What he doesn’t realize is that by including the church in the trust, he has eliminated one of the IRA’s most important benefits – the ability to “stretch” tax-deferred growth over the life expectancy of his children. When Jim’s Relationship Manager explains the IRS rules, he better understands the potential consequences of naming the trust as the IRA beneficiary. The accelerated time frame of the distribution would have prevented his children from enjoying the benefits of tax-deferred growth and forced them to take distributions in their current tax bracket. He decides it is in his heirs’ best interest to name his two children instead of the trust as the primary beneficiaries of his IRA, thereby retaining their ability to “stretch” the tax-deferred growth over their lifetimes. The only way to avoid significant tax consequences is to ensure that the recipient(s) of a trust qualify as designated beneficiaries according to IRS rules. Generally speaking, there are two different types of trusts, Conduit and Accumulation, that involve vastly different tax treatment as IRA beneficiaries. Conduit trusts act as a pass-through for IRA payments. They are usually drafted with the help of an attorney and include language allowing immediate Required Minimum Distributions (RMDs) to be paid to all designated beneficiaries. Doing so enables recipients to “stretch” the IRA distributions over the course of their life expectancy without being subjected to excess taxes or penalties. Accumulation trusts give trustees control over the distribution of funds, however, this control comes at a price. Specifically, the trust must pay income tax on funds that are not immediately distributed. Further, the IRS will require that distributions be paid out according to the oldest beneficiary’s life expectancy. If your trust includes individuals of significantly different ages, the younger heirs will be disproportionately impacted. Given the risk of significant tax consequences, you may wonder why anyone would name a trust as an IRA beneficiary in the first place. The decision to do so is directly related to individual circumstances and goals for the assets accumulated during years of work and investment. In most cases, it’s best to simply designate a spouse and/or children as recipients of IRA funds on an official Beneficiary Designation Form. Having said that, there are times when using a trust for IRA proceeds is advisable. One of our clients with a special needs child wanted to make sure that financial resources were available to provide care for the child when he and his wife were no longer living. We advised him to create a Special Needs Trust for the benefit of the child that would then be named as a contingent beneficiary of his IRA. The trust was established with the help of a skilled attorney because specific language had to be included so that the child would not have to forfeit any government benefits to which he would have been entitled. Designating the trust as an IRA beneficiary in this situation helped protect the assets and provide guidance on the distribution of funds. In some cases, it may also be advantageous to designate a trust as an IRA beneficiary if the grantor is concerned about the spending habits of an heir, or if a qualified beneficiary is in a precarious or difficult marital situation that could put the money at risk. There’s no simple answer to the question of whether you should designate a trust as a beneficiary for the assets in your IRA, but being aware of potential tax consequences can help you make the best decision for yourself and your family. As with all financial decisions related to your estate, proceed with caution and seek the expert guidance of an advisor to take advantage of the benefits while avoiding unnecessary pitfalls. Would you like to know if naming a trust as your IRA beneficiary is right for you? To discuss your estate plan and solutions to protect your assets beyond your lifetime based on your specific circumstances, request a consultation with an advisor at RAA. *All names and locations have been changed to protect the privacy of those featured in these stories. 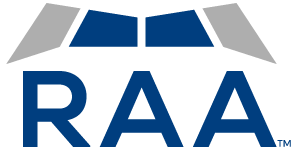 RAA is not a CPA firm and does not give tax advice or prepare tax returns. "I KNOW, I KNOW...I'LL GET AROUND TO IT."